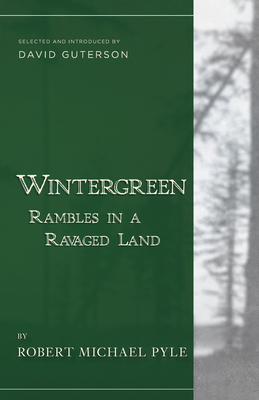 Wintergreen: Rambles in a Ravaged Land (Paperback) | Eagle Harbor Book Co. In his vivid portrayal of the land, plants, people and animals of the Willapa Hills of Washington State, Bob Pyle makes the modest patch of land he writes about a metaphor for the world. Robert Michael Pyle is the author of fourteen books, including Chasing Monarchs, Where Bigfoot Walks, and Wintergreen, which won the John Burroughs Medal. A Yale-trained ecologist and a Guggenheim fellow, he is a full-time writer living in southwestern Washington. David Guterson is the author of the novels East of the Mountains, Our Lady of the Forest, The Other, Ed King, and Snow Falling on Cedars, which won the PEN/Faulkner Award; two story collections, The Country Ahead of Us, the Country Behind and Problems With People; a poetry collection, Songs for a Summons; a memoir, Descent; and Family Matters: Why Homeschooling Makes Sense. He lives with his family on Bainbridge Island in Washington State.